"Tool to form Integrated management system"
Quite exciting, a very unique tool to map people and processes and further drill down into sub-processes. Feature of adding document and template make it a tool to provide complete integrated management system for any organization. In short People, process and Technology gives the desired output for any organization. M not sure how to show flow of process among different technologies we are applying on of processes. In order to configure our software we should be able to show flow of data from one process to other. It seems to be the most friendly tool to Map process of entire organization and further linking them. We are phase of purchasing a PPM software and before to process we are mapping of Project & portfolio management processes in Promap. It shall really help while configuring the software. "The best process mapping tool I've used"
I'm a process nerd and I've never come across a better tool for building, communicating, and managing organizational processes across multiple departments. It's an awesome and easy to use tool, when the appropriate attention is given to planning and implementing a process center of excellence in your organization. Promapp is worth every minute of time invested in getting your organization's processes mapped and communicated so you're able to practice continuous improvement without "reinventing the wheel" every time a change is required. There isn't anything I dislike. Promapp is very user friendly. Our company is growing and continuous improvements can no longer fall on individuals to own multiple roles in the organization. Promapp is helping us better understand and document our business processes and grow our company. "Promapp is a Superb Process Improvement / Workflow Mapping Tool"
The system is extremely intuitive for users within our organization. Being easy to read, easy to write within, easy to navigate, and easy to leave feedback within made it a no-brainer choice when looking for a software tool that our workplace would engage well with. If you actually want your entire workforce involved with process improvement efforts (rather than just a handful of people trained in a more complex BPM tool), there's simply no better program out there than Promapp. It has just enough robust features to get the job done. Users can opt between a visual map or text outline served up to them for any given process and the system remembers preferences. Furthermore, if you often have sleight variations to existing processes, you can tweak users on the back-end so that they receive the variation most appropriate for them by default. The workflows auto render based on the outline users create. Edits are easy to complete and there's version history on every single process or document that is placed within it. The new PVM tool lets you create minor variations of similar processes. If one segment of your company performs an extra step here or there that others don't, it's easy to capture that as well without having to re-create an entirely separate workflow. Promapp Customer Service also provides very quick and helpful responses for any issues you may have with the tool. Some users miss the decision loops most often used in Visio or other BPM tools but Promapp's stance is that this adds unnecessary complexity. You can still capture details about exceptions to the main flow of your process, but this might be off-putting to users that want to create something complex (like a system diagram). Another small issue users have is the limited customization for process blocks on the map. For instance, if you have a crucial step in a process, it will look like all the other steps visually unless you add text indicators like "Important! ", etc. We'd love to see the ability to color highlight certain steps red or bold if crucial, etc. Explore the different ways your employees can share and interact with the material in your Promapp library. Promapp works well with SharePoint. Promapp is a cloud-based tool and stores your processes remotely. Consider having a backup of material in case there is ever an outage. I can say to Promapp's credit that this is quite rare and they've moved to AWS for cloud-reliability, but some managers within your organization may insist on a backup "rainy day" plan being in place to access crucial material. Our organization has been growing fast, outpacing traditional process capturing efforts. It created problems wherein we had new employees being trained by word of mouth or side -by-sides because the existing attempts at writing down SOPs/MOPs/process manuals were so far behind and out of date. Rather than having 3-4 employees solely dedicated to sitting with others and writing down their processes for analysis later, Promapp's structure allows for every process to have an Owner and an Expert. Essentially a "doer" of the process teamed with a person that can approve changes to the existing version. Anyone in the organization can chime in with an idea. The Owner and Expert review it and if both decide it's something worth using, they can edit, approve, and re-publish their own new version of the process. It places process improvement in the hands of the employees actually responsible for the work. We've seen an uptick in employee engagement with process improvement after implementation. Some departments hold weekly meetings where they discuss feedback left on their processes throughout the week. Remote colleagues in other states familiar with just one of our company's products can gain insight on what's going on at our other locations and offer constructive feedback on how they'd improve a process for another product team. The best part about Promapp is that it actually gets people talking about (and capturing!) what they're doing. "Be prepared for the day someone else does your job"
Promapp allows every process to be as simple or as detailed as you need it to be. There is nothing I dislike. The more I use it the better I will get at refining my processes. My team is using Promapp to record how to do our jobs in preparation for the day we are not here to do it. We can link to documents for the really complex tasks or complete a simple process for the less complicated parts of our jobs. I also use Promapp as a first port of call if I need to know how to do something else outside of my direct area of responsibility. "Great Business View of Processes, but Falls Short for Requirements Definition"
Framework, processes and key process information are easy to build, and understand. It's difficult to code a process step to be used across multiple processes. This is where the usefulness drop's away, as our processes are not so good as a baseline for technical requirement documents and some process improvement activities. There are less pretty tools that are better at capturing the relationships between processes, process steps, projects and requirements. I believe Promapp would be excellent for smaller-to-medium sized organisations, but larger more complex organisations will struggle to realise the benefits of a process source of truth unless there is senior support across multiple areas, and a substantial commitment to maintain and audit centralised standards. There are views to use as our overall process framework at the University, including definition of our policies. A lack of maintenance and control at times has led to unwieldy controlled fields. Some system limitations and perceptions has caused some problems with traction. However we have started to pull information out of documents on shared drives and peoples heads, and into this Promapp centralised cloud repository for process information. "Implementation and four years' experience - still love it!" Promapp is so simple. We have trained over 200 staff members to use it, with no issues. It's regularly improved, but in ways that keep the core functions clean and concise. It's flexible, accessible, easily integrated, and just plain useful. I'm not crazy about reviews, but let's be honest, they are necessary. If you're looking for easy, shareable, simple operational process capture, look no further. Promapp really does the job. It's not as flexible as Visio for analytical process evaluation, but it is perfect for real business process capture. You can teach pretty much anyone to use it, and you can easily integrate it with your active directory. We hook into Promapp from our intranet, and from multiple proprietary software applications, where Promapp has become our default "help". In a small unitary authority with nearly 300 staff doing a vast array of roles, process capture is vital to ongoing business productivity. It's also massively helpful during change projects - everyone gets the same story, the same way, every time. "Great support and encouragement for a great product"
The ability to clearly document the processes required for me to do my job - so others can do them if I am not there. We can also see how these processes interact with others in the organisation. We need cultural direction from the top (CEO/ CFO) in order to maximise the utility of ProMapp. Too may people see the cost (of maintaining processes) rather than the benefit of having everything up to date. We are standardising processes that have been causing issues (inaccurate data), so that we can provide the CEO with consistent reports and results. "We have standardised, and the bottom line has improved"
The fact that Promapp is a go-to for knowledge management - processes, documentation, continuous improvement and risk management. And its has been easy to engage the workforce because it is easy to use. I find dislike a strong word to use for anything in Promapp. I guess the only improvement I can think of is that you cannot click straight into the Risk register from the Risk tab in your dashboard, you have to navigate back out to the register and then open the risk. Its a small inconvenience. There are a few players in this space but based on my research and testing before we signed with Promapp, no one is making a simpler to use and more versatile product with features that are useful. In my experience companies need to go with a product that fulfils the basic needs and has smart extras over the large and cumbersome process management tools. Its about getting the basics right in a business, and Promapp is one of the tools we use to facilitate that. We have standardised the way we do many processes, and easily trained those teams. The use of Promapp to maintain processes has meant when an issue or error occurs, we update the process and documentation, cross train the team and everyone involved signs off in acknowledgement. So accountability is a big part of our culture now. The work flow of improvement actions or continuous improvement is now clear and easily tracked. This has improved our execution rate in a big way, to the point now where issues in the business have dropped dramatically and aren't reoccurring. So we have noticed that this overall improvement has reduced labour cost as we are not spending time fixing errors, and we have reduced material costs as we are not remaking products that had reoccurring errors. "I've been using Promapp for 2 months as a Process Expert. " I enjoy the simplicity and layered approach. It means people can follow the process at a high level. If they need to drill down for more information, they can. Nothing stands out as being there not to like. There are a few minor issues. When the option to expand the process within a process, using the small arrow at the bottom right of sub-processes, it will occasionally render incorrectly and slightly change the process mapping. Highly recommended for Process mapping. We are mapping our core processes using Promapp. The benefits are being incrementally realised. The simplicity of linking process means that staff can seamlessly pass from one process to another. This also drives discuss between Process Stewards and Experts when interfaces need strengthening. The platform for ranking and feedback for processes is driving improvements. Process feedback and performance ranking is on display which drives improvements. "One of the best tools out there"
The simplicity of creating a process and having it in a graphical format without having to re-engineer it is a great feature. There isn't anything in the tool today that I can say I dislike. Promapp is a great business to deal with and they have a product that works. It is however very important to consider that the product is not going to do it all. if the business is not ready to embrace processes then no matter which tool you use you will struggle with the uptake. having said that, if you can get your organisation in the right mindset, Promapp makes it easy for your users to get on board. Very easy to use, and to manage processes. The fact that I can access processes online at anytime is a great feature. Nothing yet! ProMapp is a one stop solution for our company processes. This product is great to centralise all your processes and documents. There are different access levels, based on the needs of the user. It has an excellent reporting system, that can be printed in a nicely presented document, or it can be exported to excel for manipulation of the data etc. I have been using ProMapp for 2 years now, and I'm very impressed with the ease of use. Another excellent feature is that you can set review dates, to ensure that your processes are always kept up to date. ProMapp allows us to be ISO9000 accredited. As a Service Delivery Manager in the transport sector, I would highly recommend this software to anyone looking to improve their process management. We wanted a system where staff could be more engaged in processes, and provide critical feedback for change. And to also have a centralised system that can be accessed from anywhere. Centralised processes & documents, that can be accessed online. Staff engagement in processes, through providing feedback and improvement suggestions. Different access levels, based on user roles. Ability to share processes with stakeholders, before approval and publishing. Excellent reporting system, with the ability to export to Excel (.csv) or PDF. A useful dashboard, keeping you up to date with process changes & improvements etc. "Once understood, a great tool"
Easy to adapt to our situation, easy for users to interact with (sign off, refer, suggest), good linkages between processes and risks, captures all of our work and targets in one place, keep records / history of improvements, safety issues and responses to risks. It takes a champion within the organisation to keep it going, it takes some work to get a good understanding and working knowledge of it, it can be a bit of work to keep the dashboard reasonably clear - it doesn't give up! Ensure wide support - CE to anyone who will be a user. It is and effort and a cost to get the rewards, but well worth it. "I'm a reader/ consumer not a writer!" I like the procedure tab best so I can see the whole thing laid out and then click on the + links to access the more detailed content. The fact it simplifies sometimes complex processes works for me! The actual map doesn't really work for me - i think it either does or it doesn't (left brain/ right brain). Use the search tool when you first use it so that you can add your most recently viewed items to the drop down and then move the most useful to favourites. I use it to point others that I train to risk and issue management and a colleague has written some ebspoke work on cost and schedule managament. "Easy to use, harder to implement - well worth it when up and running." How easy Promapp is to use and the support behind the software, they are open to any suggestions or improvements you may have. The amount of chatter you get being a promaster and the fact that you can't customise the notifications you get. The fact you can't govern who has and hasn't seen documents such as policies, images, forms, videos, guides, info or training. The fact that risk and improvement modules cost more to have implemented. Implementation and uptake is the biggest issue - you need to build a culture of improvement and everyone to get behind the culture to get the best results. Consistency across all team members. We want everyone to be doing things the same way - this will also increase efficiency. We have seen a lot more willingness for all team members to have input across other areas of the business. "Very clear and user friendly tool!" I love how understandable Promapp is! Whenever I train new users on it, I hear a lot of positive opinions. My colleagues always point out that it's much better than all the tools they've used before because even when using for the first time, Promapp is easy to navigate through and hugely self-explanatory. The reporting tool available to Promasters is sometimes causing issues, difficulties in generating, it sometimes requires 2 or 3 attempts. Definitely take on the methodology that comes with Promapp. It works great in cooperation with the tool and shows awesome results when implemented, especially in the process understanding field. A huge benefit for us is a much better understanding of our processes among the employees. Especially the connections between output of one process and input to another shows our employees how important their work is and how many people use their results. That motivates our teams and enables their respectful cooperation. "Promapp gets process management into the hands of your business"
The intuitive nature of Promapp means that you don't need to be a guru to be able to capture and maintain your processes. The key to success is having a process tool that is easy to use and Promapp delivers this. Understanding how our business has evolved from silos to being a true interconnected enterprise. We used Adobe Captivate to capture videos of system use and matched these with processes to create a knowledge repository. The ease of use of Promapp, the online help and training modules, the tool functionality, Promapp offers so much to both the individual user as well as the business improvement process of the business. The scope of application for the promapp tool is limited only by the scope of your business improvement programma. Very little about the tool has caused me problem and concerns when questions were raised with Promapp, support have answered promptly with the appropriate level comprehension detail. Secure top level commitment to allocate sufficient staff time and resourcing to effectively progress process development. The creation of a business wide process management system with the ability to identify where cross department process improvement can be achieved. Cloud based tool available across the organisation at any location. Provides well thought through structured approach to process management and risk. Some elements don't exactly fit our requirements around risk but we successfully work around those. As with any product it helps to have a good understanding of what you are trying to achieve prior to selection. Take advantage of Promapp demos and workshop with your users prior to final selection. End to end process management and control integrated with our enterprise risk management framework. We have used Promapp as the lead application to complete a business wide review and documentation of our core business processes. In addition Promapp now manages our risk register. "Great tool with which to effect change, and easy to use!" Since rolling out ProMapp to support changes to processes, and embedding new processes within projects, the uptake on change has increased - this tool makes it easier for the change-affected to comprehend the changes and to accept those changes. As a technical business analyst, it makes my job so much easier. It's hard to dislike anything about ProMapp, although the latest changes have fixed a couple of the niggly things like having to specifically select 'quick save'. It has helped the pace of change to increase - with a visual style, and a full descriptive layout, it's much easier to communicate how I envisage a new process being of benefit. As a new (remote) employee, Promapp has saved my life! I can easily find answers to my questions without having to bother anyone at Corporate. I honestly can't think of anything that I dislike about Promapp. Promapp has proven to be a real time saver. I don't have to bother or search for people to answer my questions. I can easily find what I need when I need it. "Easier to navigate Promapp than home television!" I'm new to the organisation and Promapp has been invaluable. Promapp has enabled me to find and learn processes, across the board, quickly and easily. We can make a process as simple or as complex as required. Breaking down the activities into tasks and notes really helps. Anyone who creates a Promapp can go ahead and publish it themselves - this means that the review process can be skipped, which is not exactly a healthy process ! It's as simple as A-B-C - any process that can be mapped in Promapp is already doing the right things. Making day-to-day tasks easier to understand for an outsider (new joinee, other team). Helps in organizing your thought process around an actual business process. "Great tool to document and view procedures"
Promapp is very user friendly and intuitive which as a result enables process doers themselves to document their processes and procedures. It's designed from a 'user experience' perspective where a user will write the procedure and the system will draw the map for you. It's a cloud based software which means it can be accessed from anywhere as long as you have an internet connection. The way the 'decision' functionality is used. Promapp has been very useful with documenting Procedures/ Processes, highlight the E2E processes and how each sub process is linked in to the main process. A one stop shop to access and view the company's processes/ procedures. "Maximising productivity and reducing wastage"
Processes stored in Promapp are easy to find, and ownership is clearly listed. The platform is responsive and intuitive. Marketing resources aren't sufficient. It would be useful to have additional support to more easily explain the benefits of Promapp to staff. Not a fault of the product itself, but ensure you clearly explain the reasoning behind implementation to ensure uptake. If staff knew it would save them time and reduce administrative frustration, uptake would be vastly improve. There are many products on the market, and change fatigue may affect willingness to use Promapp. Uncertainty around locating and applying processes has been an organisational issue in the past. Through Promapp, less time is wasted searching for processes which leads to greater productivity in other work areas. "Loving ProMapp's ease of use"
More than anything, I love how easy it is to modify process maps in Promapp. A change to a process that might take an hour to create in Visio can literally be performed in seconds in using Promapp's drag and drop functionality. I also love that all of Promapp is based on the principle of keeping things simple. Although this challenges the process writers to begin with, the result is a clean, uncluttered and easy to use. We've just started using the Process Variant Module and are sure that this will enhance our ability to manage processes easily and provide our users with simple, easy-to-use process information. There's not a lot to dislike in the process management component of the product. We have found serious limitations with the Improvements module, however, especially in relation to reporting on the progress and workload implications of the Improvements. I'd give it a try - there' s a 30-day free trial period. We are still trying to fully document all of our end-to-end processes - as well as continually improving the processes we have. The main benefits realised have been in terms of enabling the business to take ownership of the processes rather than seeing them as belonging to the Business Analysts. We expect our processes to be better managed in terms of review and accuracy but this has yet to be tested. We also expect that the PVM will reduce the time we need to spend on maintaining minor but important variations of a single process rather than needing to update multiple versions of the same process. "Great for larger organizations that are very process centric - less so for small ones. " Great repository for process maps. It works very well for documenting and mapping processes. In our specific situation the information just sits there and as we are a small company Promapp unfortunately didn't get looked at too often. We've moved most of our processes into the system which manages our actual work as actual workflows that drive behaviour and work across all teams rather than just having them documented and sitting somewhere. If you rely heavily on manual processes and are a large organisation - Promapp is AMAZING! If you are a small company and rely mostly on workflows to manage digital work I would recommend going with any of the many item trackers out there which will actually implement processes rather than just documenting them. There was some benefit years ago when we started to use Promapp as it forced everyone to think about and verbalise the processes. "Never second guess what your supposed to be doing! :)"
I like the fact that all the documents, contact people and FAQ's are all in one process. If you are unsure if you have done something correctly just have a look at Promapp. At first it was hard to find the documents that I needed but once you understand how Promapp works, finding what you need is a breeze. It helps with pricing for customers. Every employee can give the exact same quote nationwide as we are all in the same system looking at the same documents. "Promaster using product on an adhoc basis for 6 months"
I like the intuitive ability of the tool. I dislike that it doesn't link with current platforms for user management. We have only really started using it and have found that not being prepared or having an actual roadmap or project plan has hindered our development. Being able to reorder items by simply dragging and dropping halved my process mapping workload and enabled live updates to processes while sitting in the room with the interested parties. That there is an additional cost for variations as I feel it was a core part of the product that was missing, not an added bonus. Willingness to process map has increased in the organisation as people can see how easy it is to use and the potential benefits it can provide. A big one for us is training for new staff. "Fantastic aid in Change Management"
Ability to view process at a high level via map view and also to have detailed information at the click of a tab. This makes it very easy to identify gaps between existing processes and a proposed change. Not entirely comfortable with the new star rating of processes but it is an improvement from the emoticons. Simple and easy to use, great as a training aid and provides us with the ability to realize resource savings. Gap analysis for implementation of new IT systems, visual representation of the swimlanes has helped us to streamline our procurement authorisation workflows. Easy identification of financial costs and savings from process changes. "I wish it was better"
There are many good things about this program, but its only geard toward processes I wish it was just one big program that you could use to cover all areas of the company. This way we wouldn't have to pay for a bunch of different programs. I think its a great program but I wish It worked well with the HR side of things. Manufacturing problems that would come up. Now we have processes that tell the operators how to run everything. "Promapp’s Quality Assurance Management System"
The tool looks futuristic and intuitive. Nothing in particular. May be, some of the text colour (which is light Blue now) could be changed to a darker tan like a Royal Blue. Not a big deal. Just some aesthetics. I am really impressed and would strongly recommend other to give it a go. Since going Agile, I have noticed that the existing Test Management tools in the market are not able to accommodate the new methodology and technologies and steered more towards a traditional Water Fall Model. I am hoping that in times to come, Promapp could be an alternative or answers to these drawbacks. Ability to map processes cleanly and then display the processes as either detailed processes or as a high level process map. Difficulty in having to screenshot images separately and then load into Promapp. Ideally this should be done within the interface. Get a trial and give it a go. Need align your business to be ready to convert all to Promapp and getting it done needs to be an individual objective of every individual or it won't get done. Promapp centralises all of our company processes into one location with set standards how to structure process across the whole company. "So many features to like"
The ability for users to quickly and simply capture their own processes and be responsible for them. The system sends notifications about process changes, even if those changes are only administrative ones. This means that sometimes the significant changes get obscured on users' dashboards. The key to success for any process management system is to have leadership support and governance. The sponsor needs to fully understand how the system can be used and what management habits need to change to get the best results. We needed a better system for involving people in the capture of their knowledge in order to benefit the organisation. Users invariably state how intuitive the application is and how easy to use and navigate. There's a powerful search engine integrated and attaching all important templates, guides, policies and other important reference materials makes it a one-stop shop. Managers can run reports to tell them the status of processes under their watch. There have been a number of additional 'pleasant surprises' aalong the way, such as the recording of every process change, feedback and suggestions for improvement recorded, linkage to risk registers, ease of sharing process maps with non-users and handy on-baord help and videos, to name a few. "The easiest and most effective business process mapping tool there is." I love the ease of use and the well-organised layout. All documents, forms and links are kept in the process, and is easy to update and change when needed to. Sharing a process with a colleague or client is a breeze. I would say the biggest dislike is the price. We have used it to map and plan the implementation of a new ERP system. We have also developed a set of Standard Operating Procedures we use in the business. "Fantastic, simple no nonsense software"
Simplistic user interface, common language across all departments. An approach where the subject matter experts write the content, administration is very straight forward. Inability to provide multiple outcomes from a decision option, only Yes or no, vs maybe a 1, 2 or 3 approach. Breaking down the silos of processes held in different teams. Allowing collaboration across different teams where a full end to end process can be detailed out. "An excellent tool for any organisation"
The software is very user-friendly and assists with problem solving, training and best practices. It is very difficult to be and stay 'Totally Awesome'. Highly recommended. Promapp is an excellent tool for benefits realisation, and helps to improve efficiencies across the organisation. We are currently comparing our processes and timeframes from our legacy system with our new accounting system that we implemented back in April. This is helping us realise efficiencies and areas for improvement. "great tool to document process and so easy to edit when reviewing or updating "
"A great visual tool to monitor opportunity for improvements." Keeps the hole team on track and focused to day to day opportunity's to improve and monitor Quality, Health & Safety and Continuous Improvement ideas. A little bit hard to find closed opportunity's that have been completed but have risen again, therefore the need to revisit what we have completed with out making a fresh opportunity. Trial it and find out for yourself how visual it is to see what needs to be attended to and by when. Health & Safety Risks, Incidents/near misses along with Continuous Improvement Ideas and Quality Management. Pro map is an excellent system for mapping processes, it is relatively simple to learn and implement. Pro map has good training videos and personnel. I have recommended Pro map to other people in the past and will continue to do so. I find that pro map software subscription and training is too expensive a more cost-effective solution would be far more attractive. Although you may be able to map your processes and video pro map is something that offers so much more. Having the ability to have all our processes met in one place have been a great benefit. "clear concise diagrams, with optional detail"
Active process control to ensure no duplication and good communication pathways. Emergency Planning - the strategy, who does what, how we link resources, legal interfaces. User friendly, very easy to get started. Overall the software is good. The annual review function can be improved - the annual review due date can be more flexible, such as allowing review to be conducted earlier than the predetermined due date. At the moment it seems that user cannot click on the "reviewed" button prior to the due date, or actually can just I don't know how? Compile process maps for key business procedures, from beginning to the end. "Promapp in Silver Fern Farms"
Promapp is a fantastic tool for delivering a consistent experience for process consumption and ensures through its governance framework that process are managed, kept up to date and audited. Users love it - it's clean and clear to follow. There are definitely skills needed to write a good process and that comes with great training and ongoing support. "Promapp in Early Childhood Education"
I think Promapp is an amazing asset to my Centre. It allows me to look up policy, procedure and extra information about all aspects of my work. It is a great way of filing forms, without having to print things off, looking after our environment. The ability to map processes inter-department and cross functional. To achieve operational excellence. In the process our company have achieved ISO accreditation for Quality and Safety. "User Friendly Process Documentation "
Easy to share links to the processes and embed supporting videos and documents. The system has been a little buggy. It's promising that I've run into less problems than when we first started about a year ago. It could be a little difficult for the casual user to get the hang of it if all they do is view processes. Central location for process documentation. Easier to have one place to go to for creating, updating, and viewing documentation. "Promapp helped me solve a complex business problem"
The software is very intuitive and easy to use. I had no major problems with this system. This is a very useful and easy to program. It's a great way to communicate change amongst your impacted stakeholders. From what I understand, it is much easier to use than other products on the market. Helps you design and articulate solutions to complex business issues. It's also a great way to effectively communicate change across your organisation. "Easiest Process Software I have used"
Promapp is so easy to learn and to use. Feedback Response management is a bit tricky. It is sometimes difficult to see what items are outstanding/unresolved. I have been documenting processes for over 20 years. Promapp is by far the easiest method I have used to get the job done. Keeping processes up to date is also easy with regular reviews and Feedback from Users. There were no up to date processes before Promapp. We now have the whole business documented. This has helped with Training and standardising processes. * We monitor all Nintex Promapp reviews to prevent fraudulent reviews and keep review quality high. We do not post reviews by company employees or direct competitors. Validated reviews require the user to submit a screenshot of the product containing their user ID, in order to verify a user is an actual user of the product. Hi there! 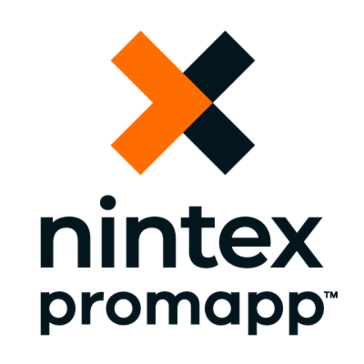 Are you looking to implement a solution like Nintex Promapp?